Ice cream is a favorite summertime treat in our home, and it isn’t hard to figure out why this is the case. 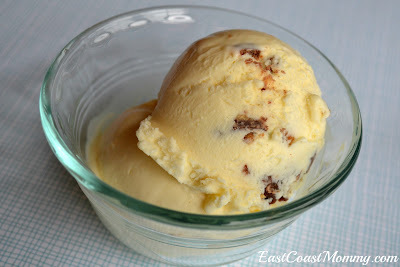 On a hot summer day, there isn’t anything quite as tasty and refreshing as a cold and creamy scoop of ice cream. 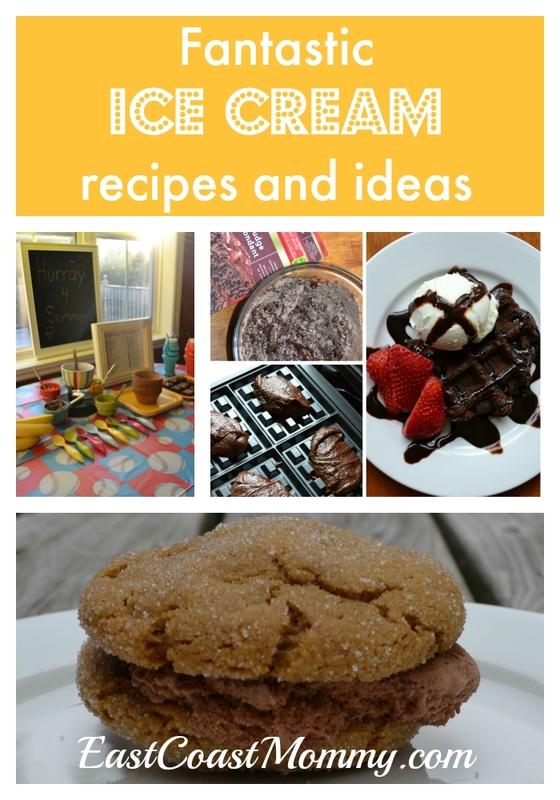 Today I am sharing a few fantastic ice cream recipes and ideas. 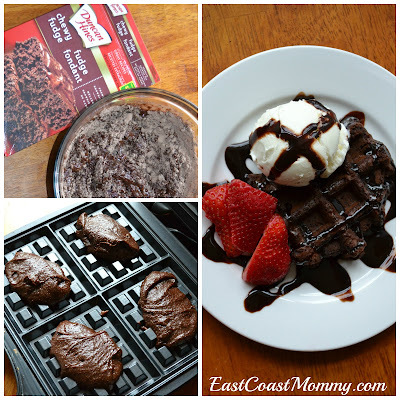 Brownie Waffles - These are our new family favorites. To bake delicious waffle brownie sundaes: 1) Mix a brownie mix according to package directions plus one egg. 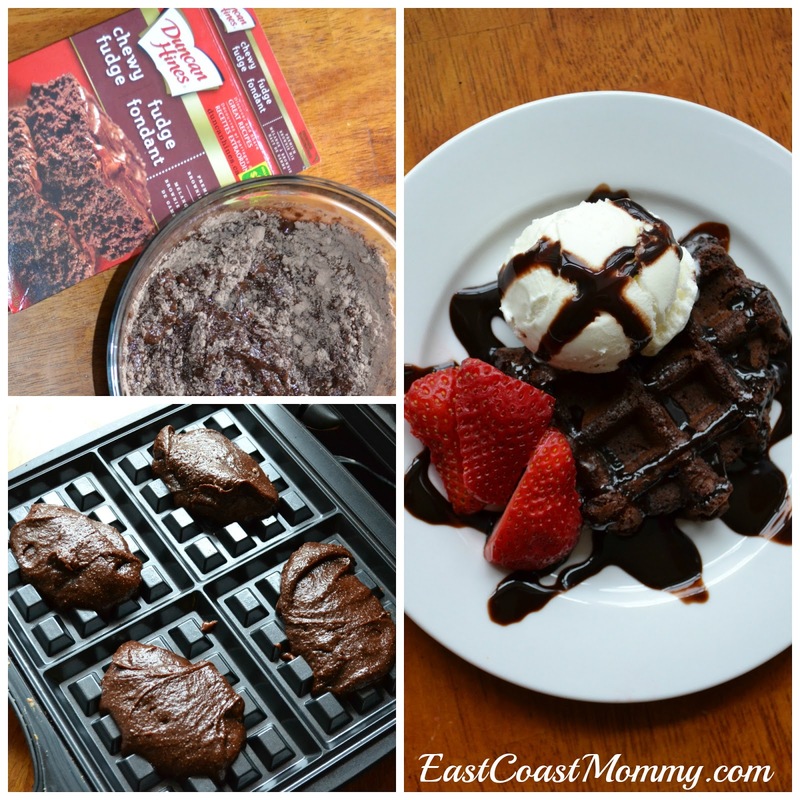 2) Cook the brownie mix in a preheated waffle maker for approximately six minutes. 3) Allow the waffles to cool slightly, and then carefully remove them from the grill. 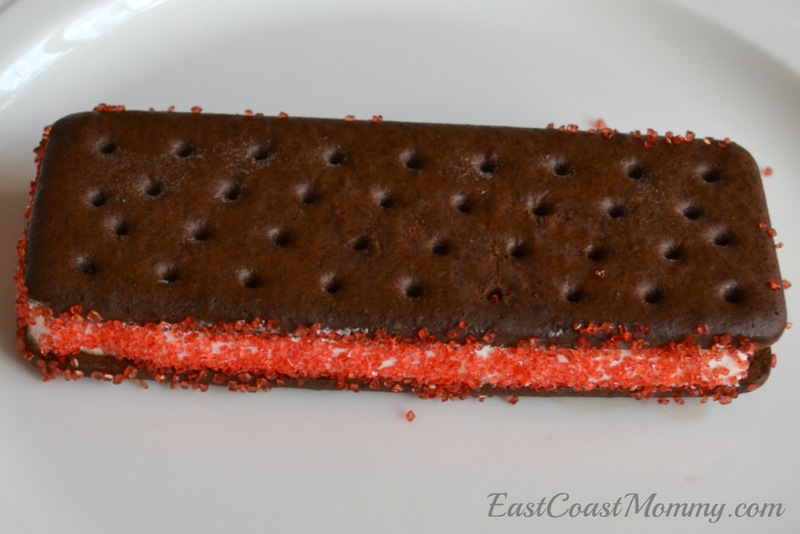 4) Add strawberries and ice cream, and drizzle with chocolate sauce. 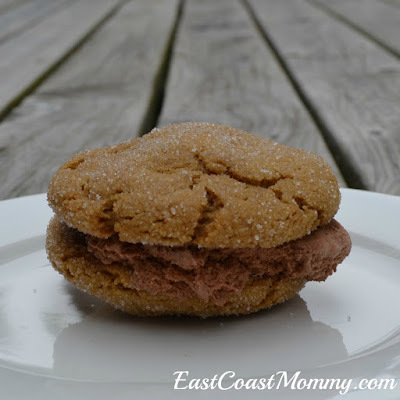 Homemade Ice Cream Sandwich - To make your own ice cream sandwiches, simply scoop slightly softened ice cream between two homemade cookies. Our favorite combination involves chocolate ice cream and soft and chewy ginger molasses cookies. Sandwiches made with chocolate chip cookies and vanilla ice cream are also delicious. You could also try "dressing up" store bought ice cream sandwiches. Ice Cream in a Bag - Making ice cream is another endeavor that the kids are guaranteed to enjoy, and you really don’t need any special equipment. To make ice cream in a bag you’ll need: a big Ziploc bag, a small Ziploc bag, salt, ice, sugar, vanilla and 18% coffee cream. 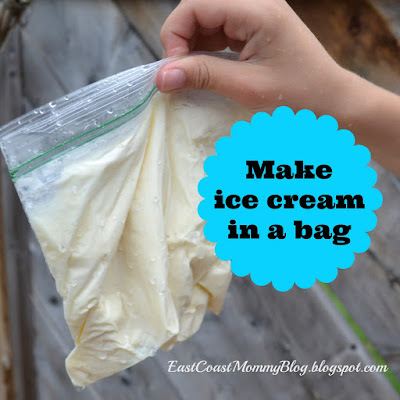 You can find the full recipe for ice cream in a bag here. Reese's Peanut Butter Cup NO-CHURN Ice Cream - This easy-to-make ice cream has a rich and creamy texture, and it doesn't require any special equipment to make. 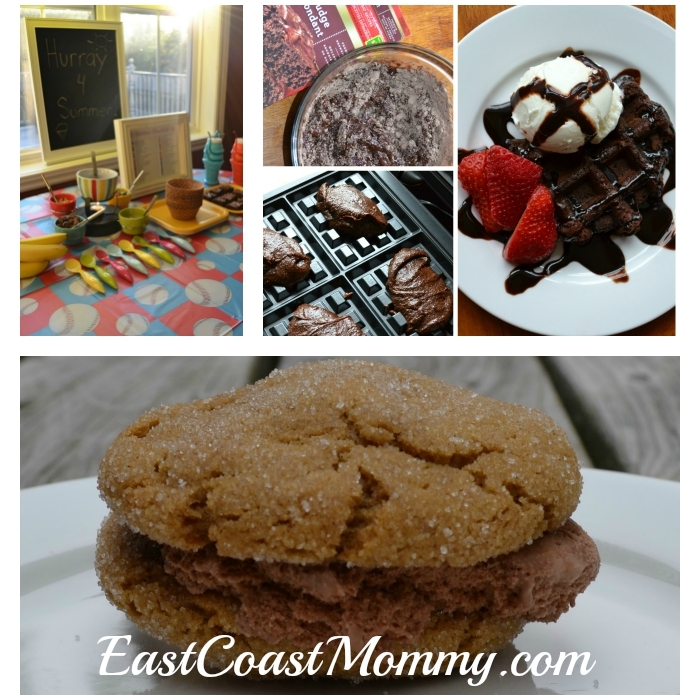 Ice Cream for Supper - Each year, my boys and I make a checklist of 50 summer activities, and we work all summer to complete all of the items on our list. The last thing on our list is always a special “Ice Cream for Supper” party, and it is an event that my boys look forward to all summer. 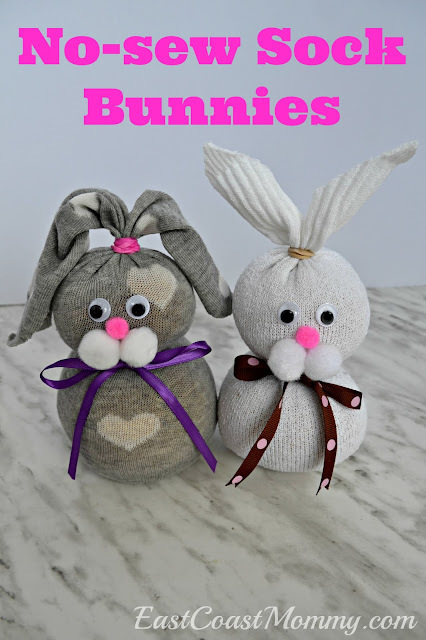 I highly recommend giving this fun idea a try! 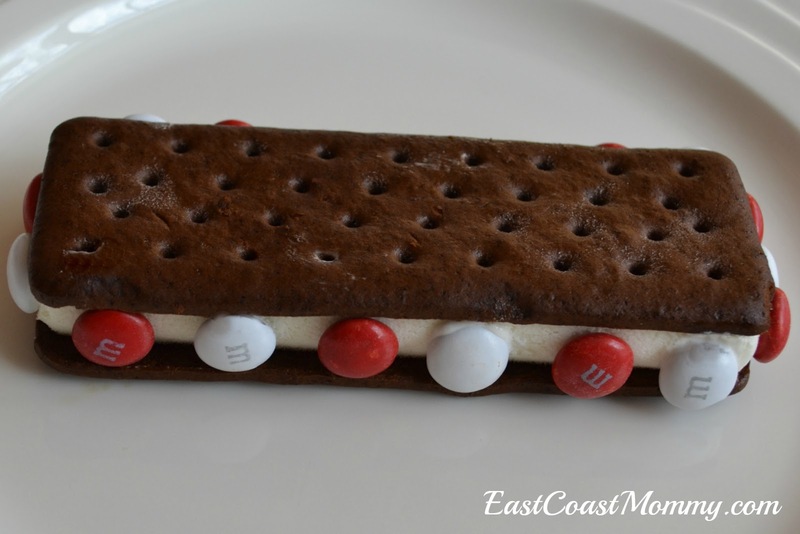 Aren't these fantastic ideas for enjoying ice cream? Ice cream really is a fun part of summer (and childhood). Do you have a favorite ice cream recipe or flavour? Last weekend I hosted a Carnival party for my boys, and we had a ton of easy games that all the kids loved. 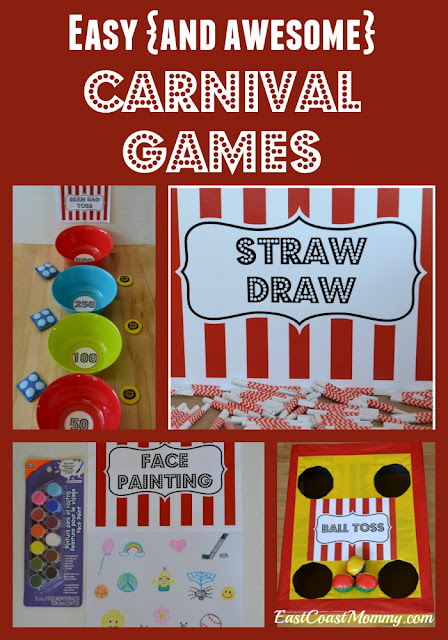 Today I am sharing all the awesome carnival games and activities I put together for our little party guests. 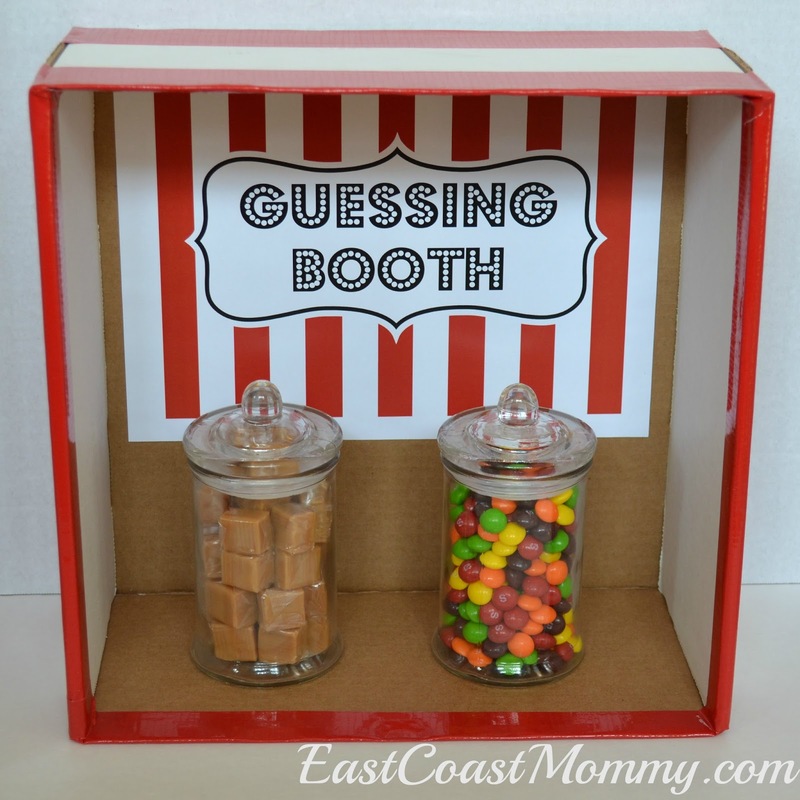 As the guests arrived, they made a couple of guesses at our guessing booth. 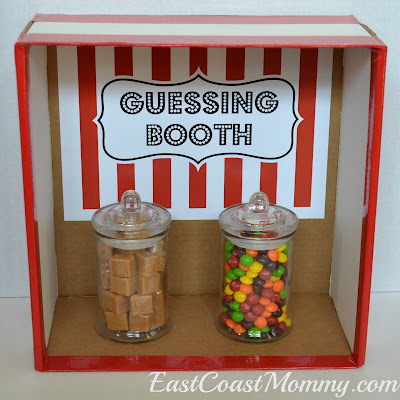 The person that guessed the correct number of candies was given the jar full of goodies to take home. 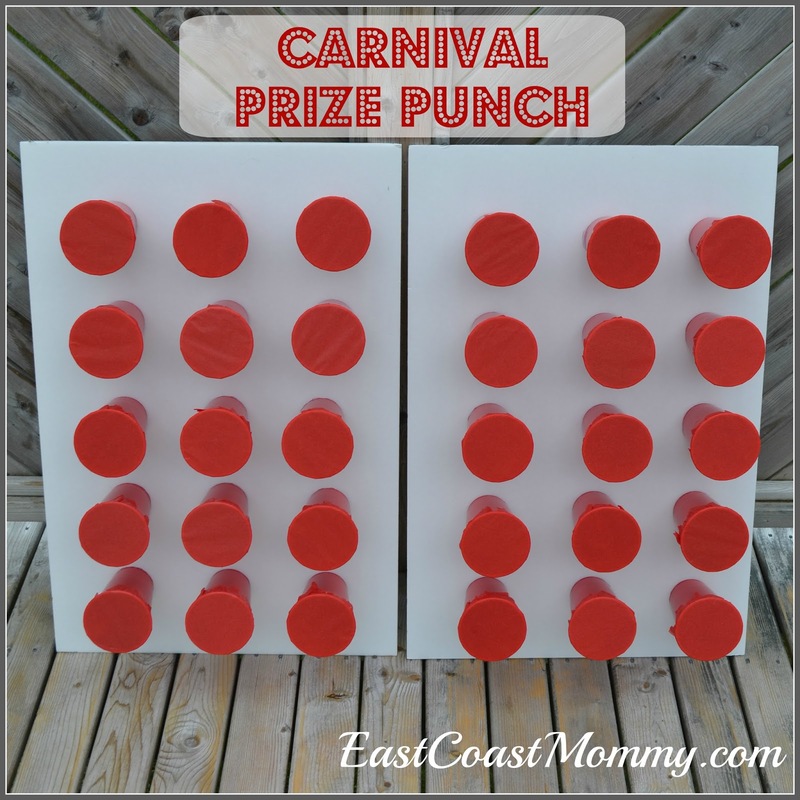 Our carnival prize punch was a big hit with the guests. They threw small rubber balls at the foam core boards until they were able to break through the tissue paper. 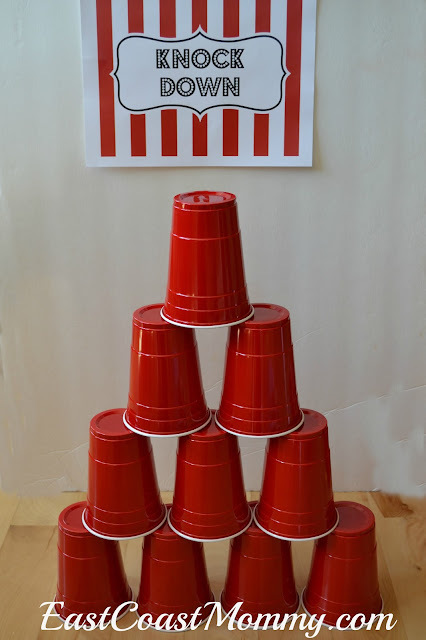 When the child succeeded, he/she was able to reach inside the cup and claim his/her prize. 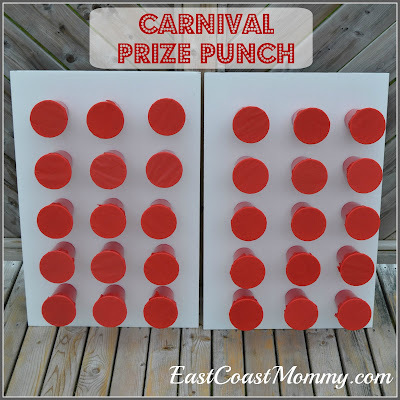 You can find the full step-by-step tutorial for the carnival prize punch here. Every guests was also given access to our giant tattoo board. 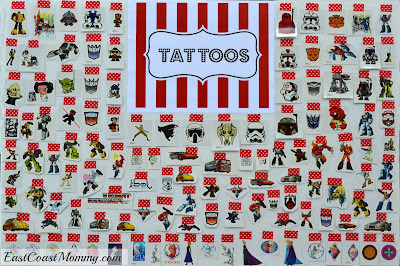 I cut out dollar store tattoos and taped them to a piece of foam core. 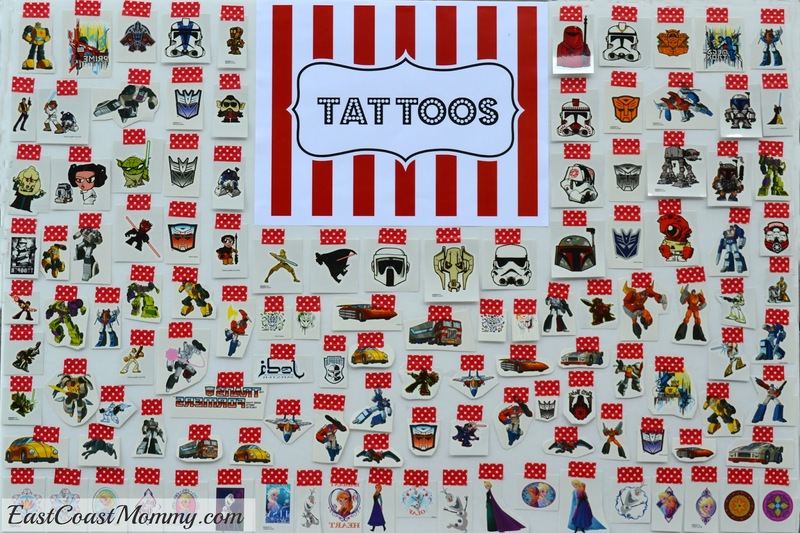 Then, guests were able to easily select a tattoo for me to apply. Fun, right? The party also had a basic face painting station. 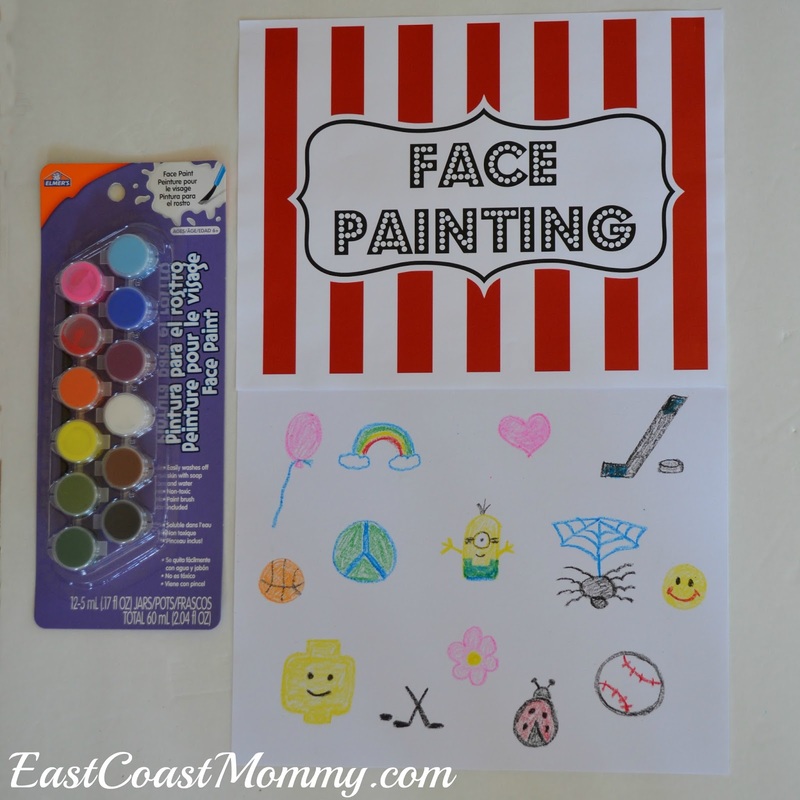 I bought some inexpensive face paint, and drew out a few simple designs. I am not an artist so I kept things pretty basic, but it was still fun. The straw draw was requested by my middle son, and it was a huge hit with the party guests. I cut up bits of paper, and then I left some blank and marked some with an "X". Then, I rolled up the bits of paper and inserted them inside one-inch pieces of paper straws. 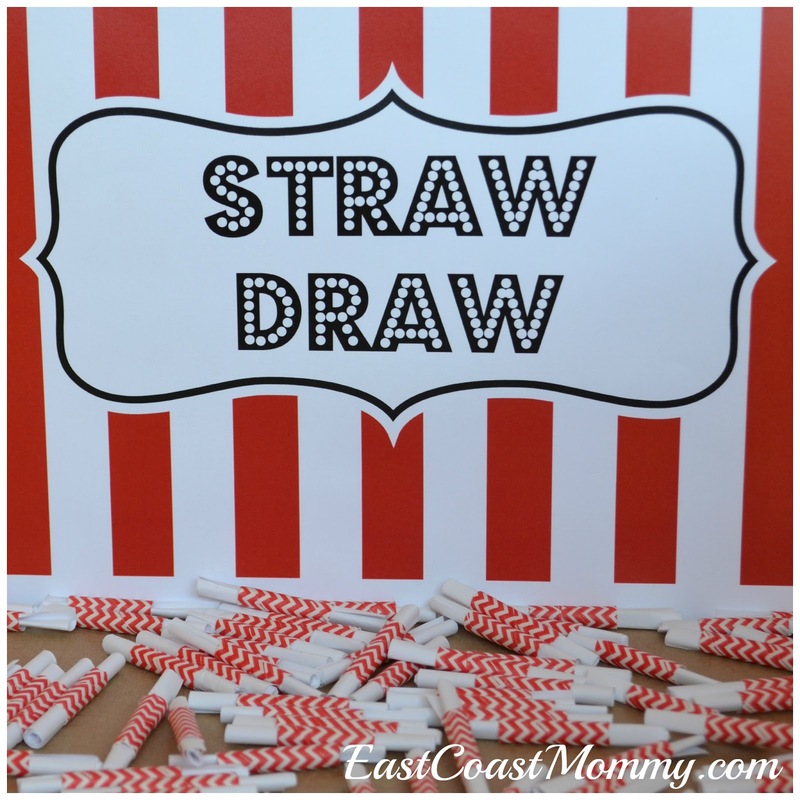 The party guests chose straws, and the ones that found "X"s exchanged them for prizes. 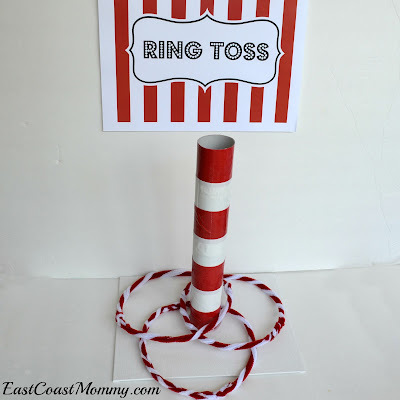 Carnival party games don't get much easier than knock down. All you need to do is: stack cups, throw a ball, and knock them down. 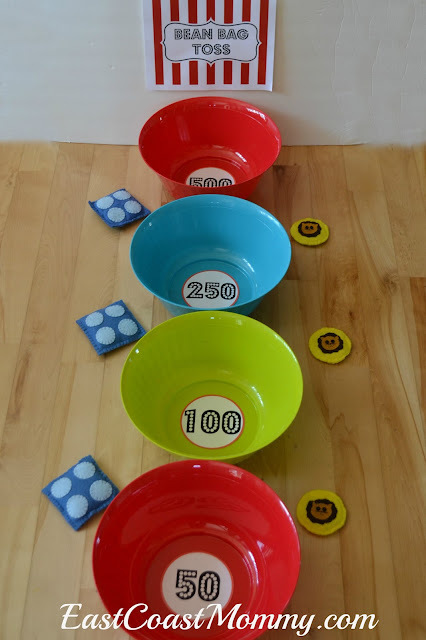 I found colorful bowls at Walmart for $1 each, and I knew they would be perfect for a bean bag toss. The kids loved trying to get points and get higher scores than their friends. Every child loves the simplicity of a ball toss game, and this one was inexpensively made from an old box. 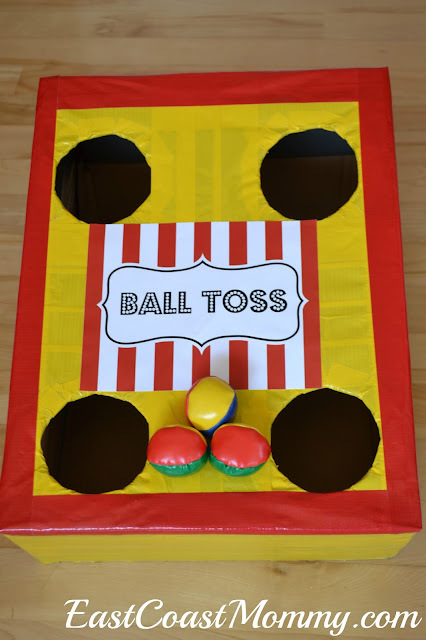 You can find the full tutorial for our ball toss here. 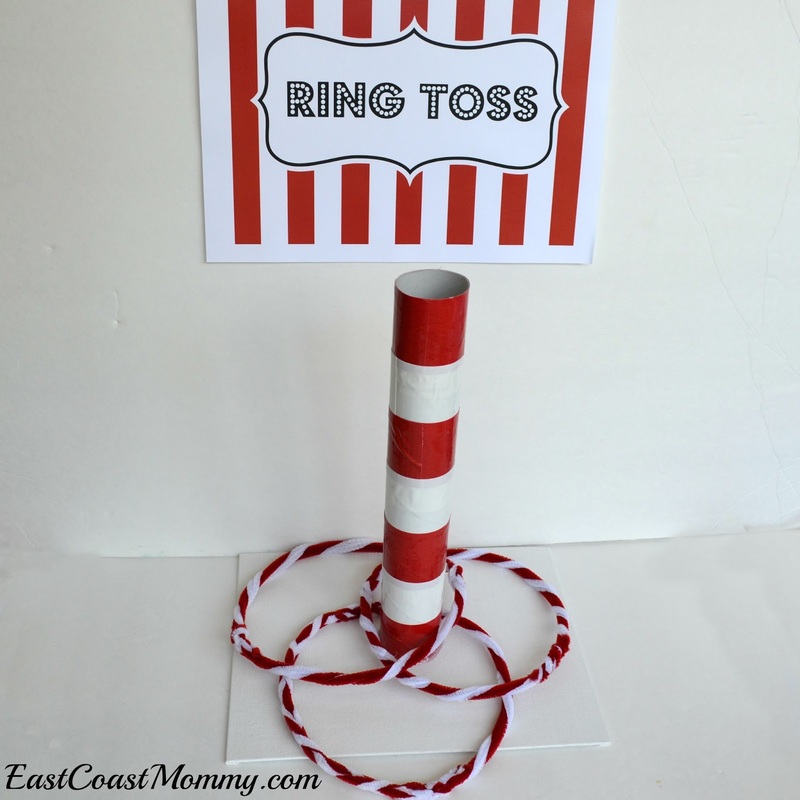 Our final game was a basic ring toss that I made from a recycled paper towel roll. I wrapped the paper towel roll in red and white duct tape, and then I hot glued it to piece of canvas. I made rings from several pipe cleaners wrapped together. 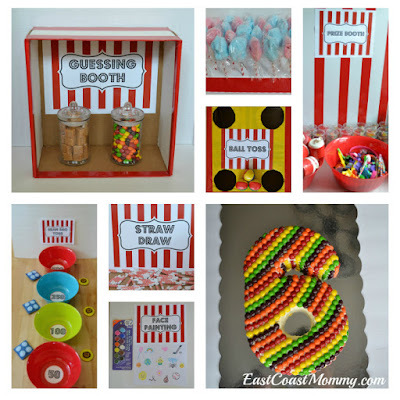 All of our carnival games were easy and inexpensive... but they were also awesome and lots of fun! You can download all the red and white carnival signs that I designed here. Which games would your little ones enjoy?